How Is Spinal Stenosis Diagnosed? 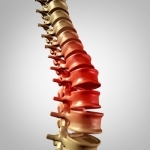 Spinal stenosis occurs when the spinal column narrows, putting pressure on the nerves. The compression may not cause symptoms in some people, but in others, it can cause significant pain and numbness. It can even affect mobility, and in some severe cases, can cause paralysis. A herniated disc occurs when the spongy disc between your vertebrae that acts as a shock absorber, protecting the bones in your spine from bumping into each other, bursts or bulges from its healthy position. 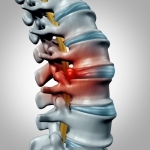 You may have heard the condition referred to as a slipped disc or ruptured disc. Every patient’s experience with disc herniation is unique. A herniated disc may cause very mild symptoms and not have any discernible effect on a patient’s life at all. Other patients may experience severe symptoms like shooting pain, stiffness, numbness, and muscle weakness because the herniated portion of the disc is compressing the delicate nerves. If you’ve been diagnosed with spinal stenosis by your back doctor in Miami, it’s important to understand how this condition can affect your body. Frequently associated with back pain, spinal stenosis symptoms can also include affected balance. Back pain is a common problem that many people develop at some point in their lives. The pain associated with these episodes usually goes away within a relatively short amount of time. However, if you are experiencing intense and extended back pain near Miami, you may be wondering if you would benefit from back surgery. Many people experience back pain to the degree that it interferes with their daily lives. If you have been suffering from back pain and conservative treatment has not been effective, back surgery in Miami may be indicated. Laminectomy is one of the more common back surgeries, and can vastly reduce or eliminate your back pain. Watch this video to learn about the laminectomy procedure. The width of your spinal column might not be a major concern for you—unless of course, it causes persistent back pain, numbness, weakness, mobility impairment, and other serious symptoms. These symptoms may arise as a result of spinal stenosis, which is a term for the narrowing of the spinal canal. A narrow spinal canal can compress the delicate spinal cord. There are a variety of effective treatment options that patients in Miami can use for a herniated disc. A doctor at a spine center will recommend appropriate treatments for patients; however, these generally include nonsurgical treatment options such as medications, epidural injections, and physical therapy.